As the Director of Human Resources, Mr. Boyett supports the current and future needs of our most valuable asset; the Connected Logistics’ employees. 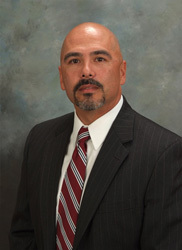 He has a varied and diverse background in supporting organizations with over 30 years of combined experience from the United States Army and also as one of the first members of Connected Logistics team where he has been an integral part in all phases of our company’s growth. Mr. Boyett brings relevant expertise and experience in the areas of human capital management, leader development, training management, multifunctional logistics, materiel management, and support of contingency operations. In addition to his HR responsibilities, Mr. Boyett has also served as a Program Manager and Facility Security Officer and continues to perform direct delivery work for clients of Connected Logistics. During his Army career, Mr. Boyett led and supported both Army and sister services formations across the full spectrum of operations. While in uniform, he served as the Senior Logistics Observer Controller at the U.S. Army’s Joint Readiness Training Center, Commander of a Brigade Support Battalion while deployed to Operation Iraqi Freedom, as well as multiple other command and staff positions in the continental US, Europe and while deployed.